James Bach said his 76-year-old father, who was flying alone, suffered a head injury and broken shoulder. He was listed in serious condition at Harborview Medical Center. 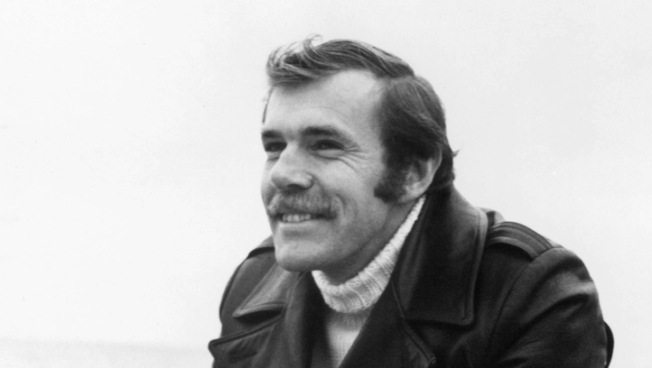 Richard Bach, the author of the 1970s best-selling novella "Jonathan Livingston Seagull" among other spiritually oriented books rooted in themes of flight and self-discovery, was in serious condition Saturday after his small plane crashed in Washington state. The homebuilt SeaRay single-engine aircraft clipped power lines Friday at 4:30 p.m. about three miles west of Friday Harbor Airport, according to Ian Gregor, a public affairs manager for the Federal Aviation Administration. Bach's son, James Bach, told The Associated Press that his father was on his way to visit a friend on San Juan Island when the plane went down. "Right now we're waiting for the sedation to wear off, for him to fully wake up," the son said Saturday morning. In "Jonathan Livingston Seagull," published in 1970, Bach writes of a philosophically minded seagull seeking to rise above the flock, which is focused on the dull regimen of finding food scraps. Jonathan is banished from the group only to come upon more enlightened gulls who guide him to spiritual lessons, which Jonathan then imparts to others. The short, simply crafted book gained little to no critical attention upon publication, but rose to No. 1 for several weeks on the New York Times bestseller list, and Bach quickly drew a loyal following. Bach has been a pilot for his adult life, often touching on his experience in the cockpit of his beloved plane in his writings. Besides "Seagull," his other popular works include "Illusions: The Adventures of a Reluctant Messiah," a mystical story of a Midwestern barnstorming pilot's quest for self-discovery. He often links the practice of flying to themes of a deeper spiritual quest. "Dad described his religion as flying. He's a very avid aviator," James Bach said. "It would be terrible if he recovers and can't fly again — this guy needs to fly." Richard Bach moved to Washington state's remote San Juan Islands more than 20 years ago, living on Orcas Island, his son said. The scenic San Juans are a pastoral spot about 100 miles northwest from Seattle, reachable by ferry or plane. Bach wrote on his website Tuesday that it was "joyfully astonishing, how quick civilization can disappear when little Puff wants to be a boat and take me with her, the two of us gone off alone with the sea and the sky," Bach wrote on his website on Tuesday along with a video of his flight. Puff is the name of his 2008 Easton Gilbert Searey, which he was flying when he crashed.